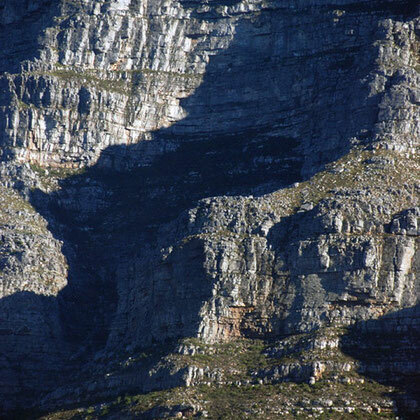 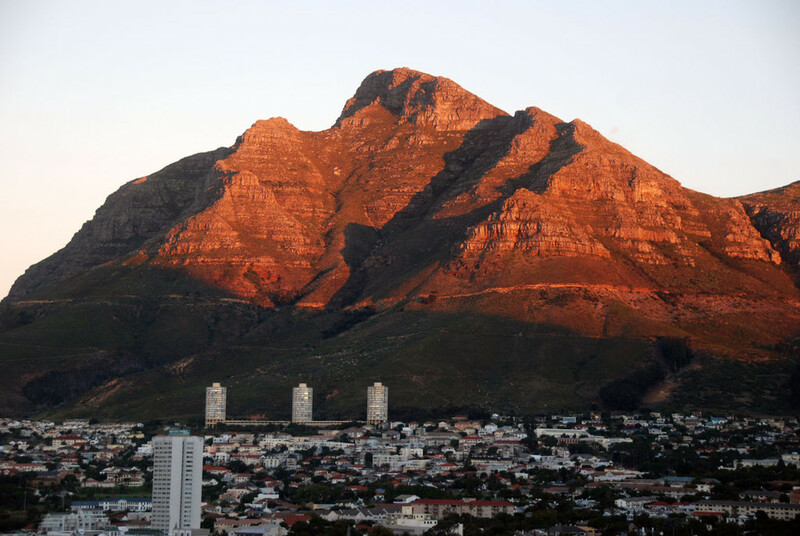 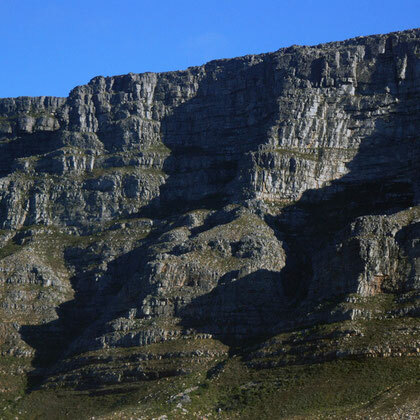 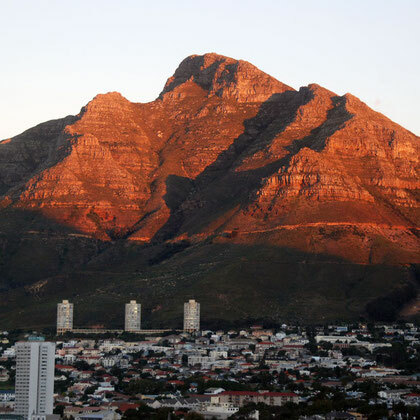 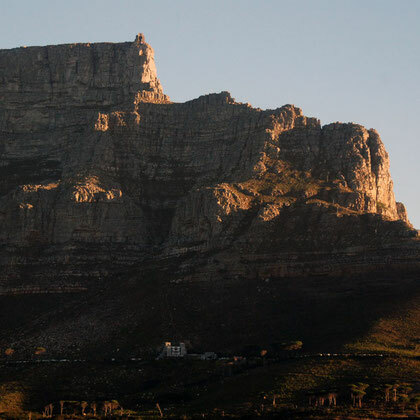 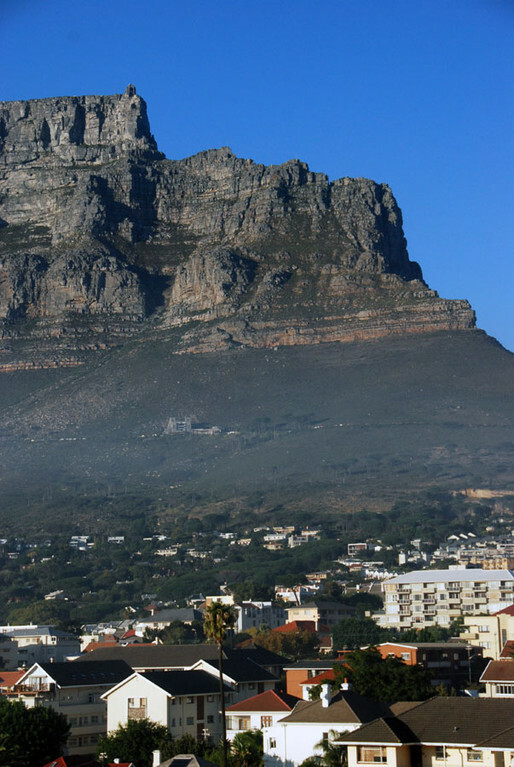 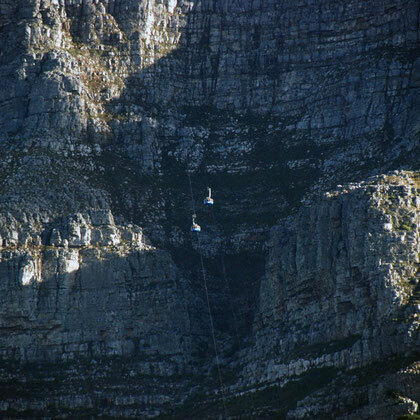 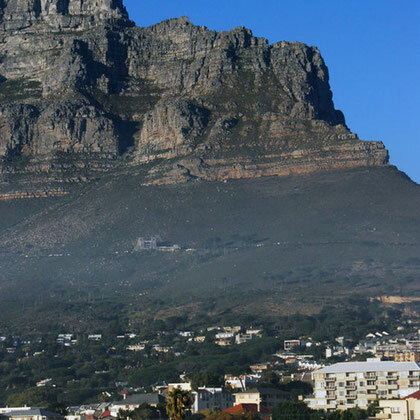 Strangely we didn't go up Table Mountain during our stay - either by foot or by the cable car. 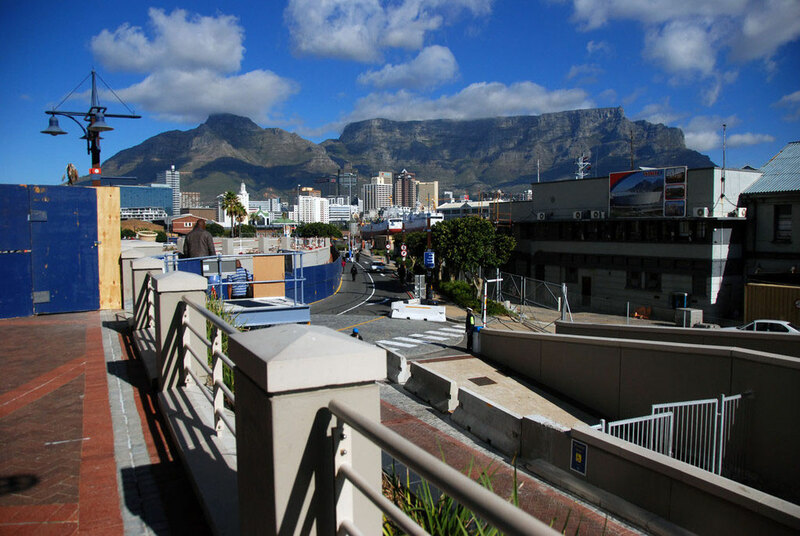 Neither of us fancied being jammed in with a lot of other tourists after the experience of the tourist corral down at the waterfront. 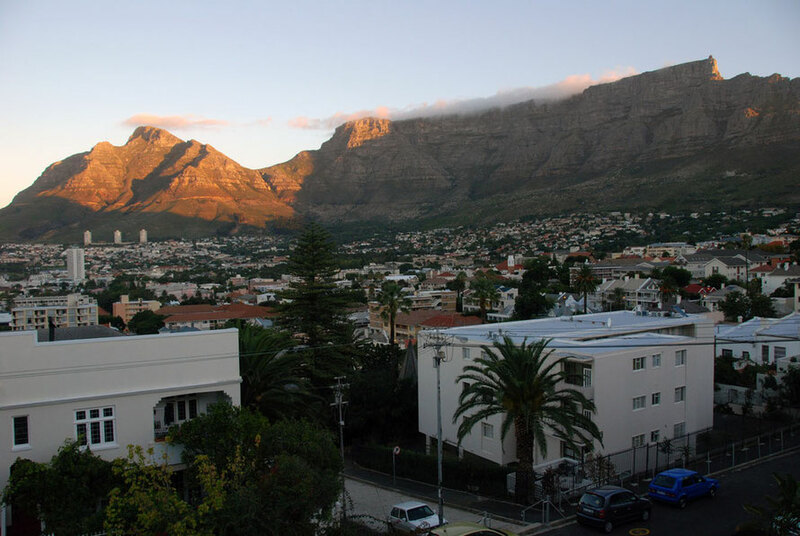 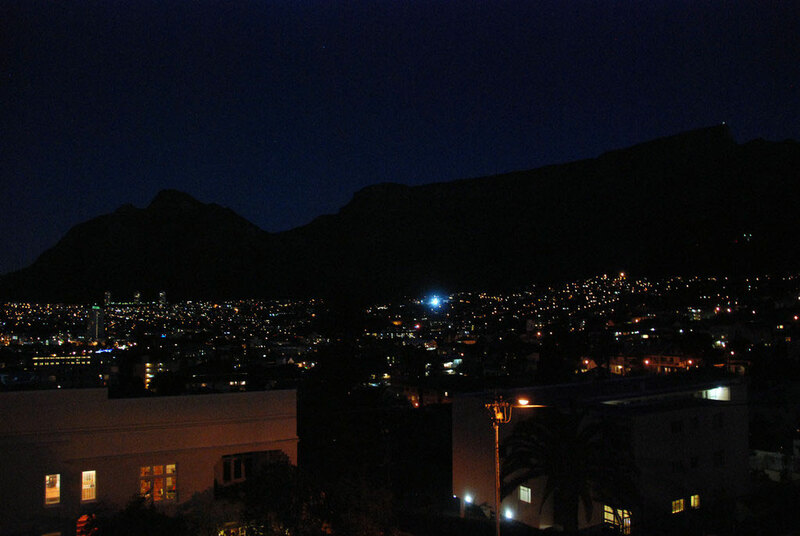 But the guest house we stayed in had fantastic views of Table Mountain. 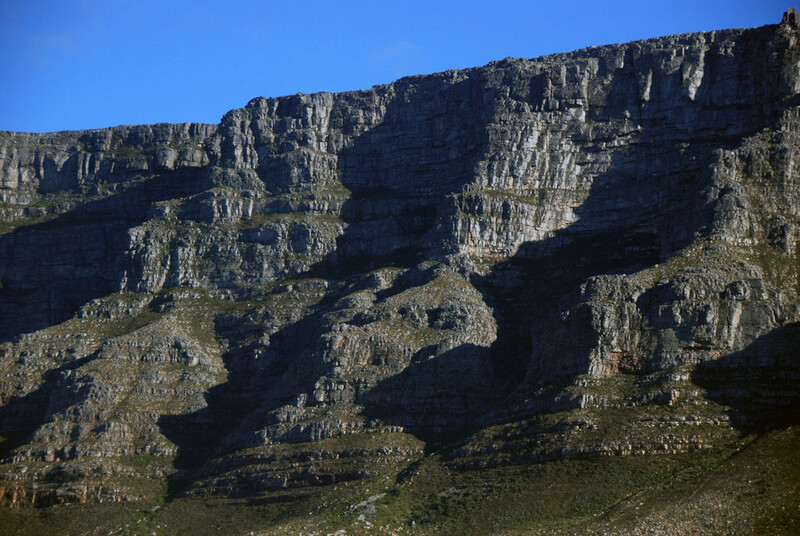 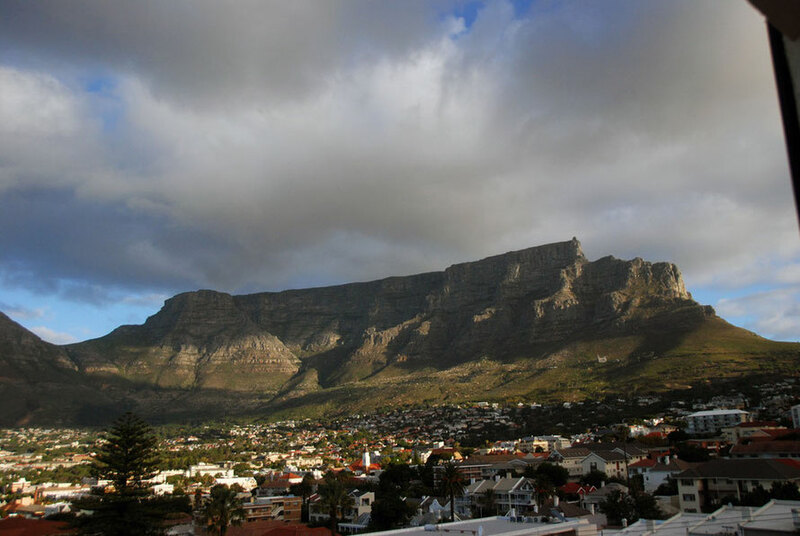 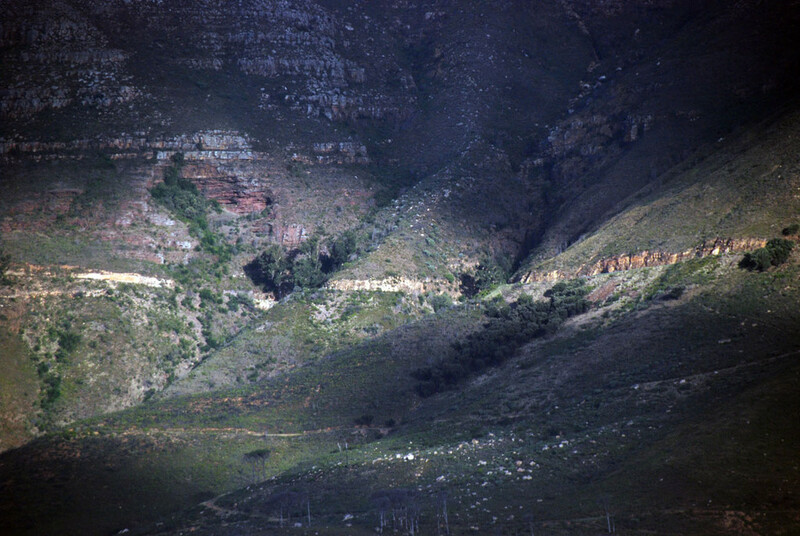 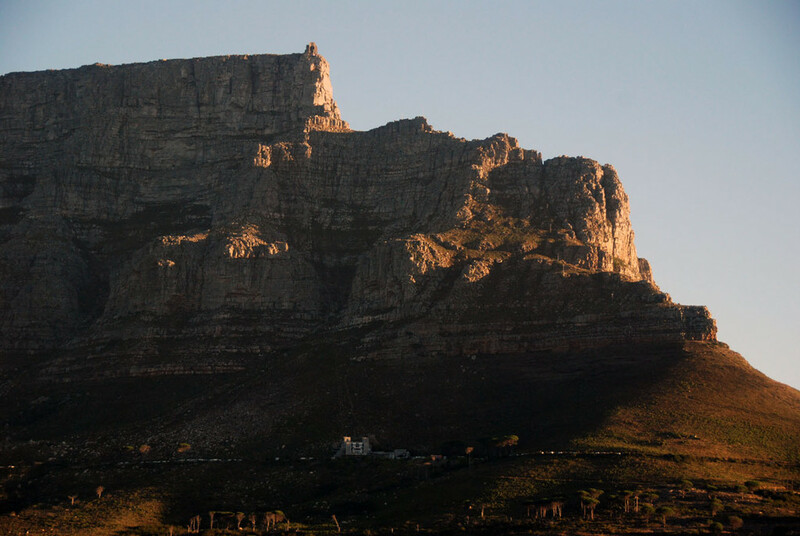 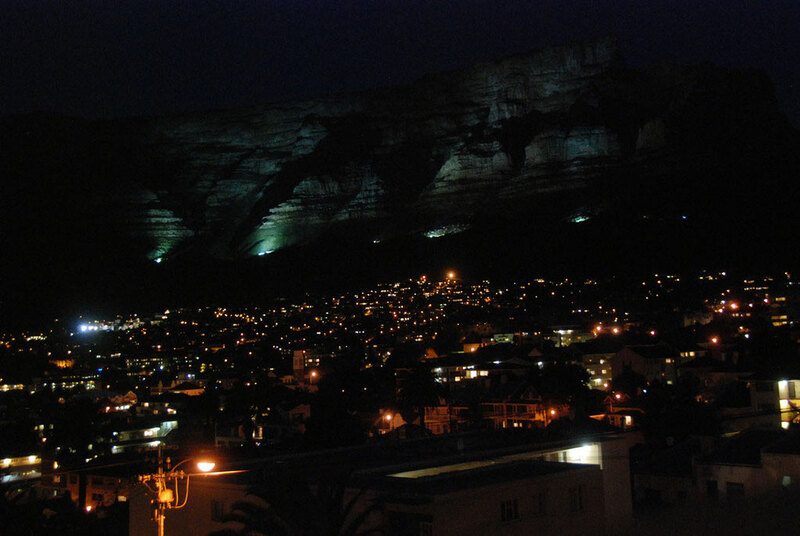 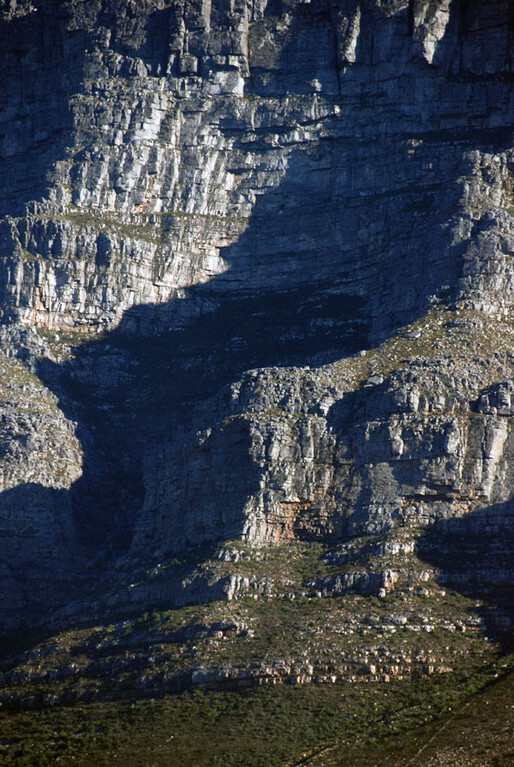 As well as my photos I've added some by other people that give a very different view of Table Mountain. 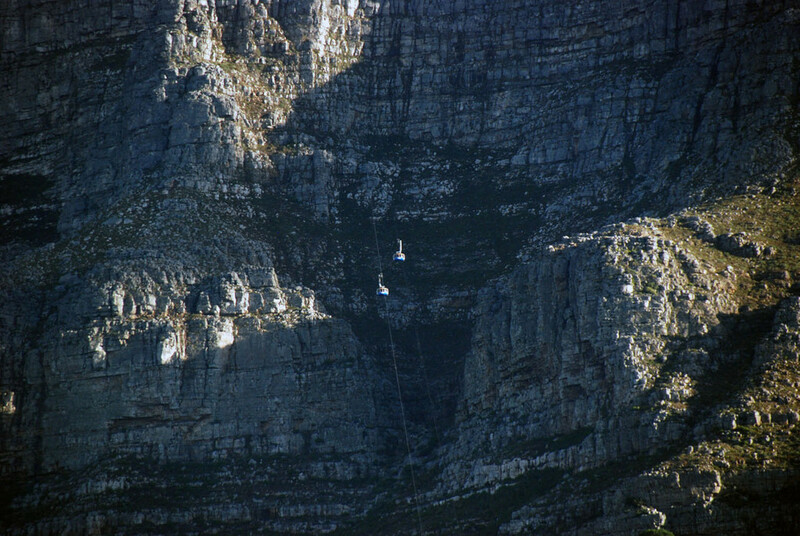 The above two pictures present very different views of Table Mountain. 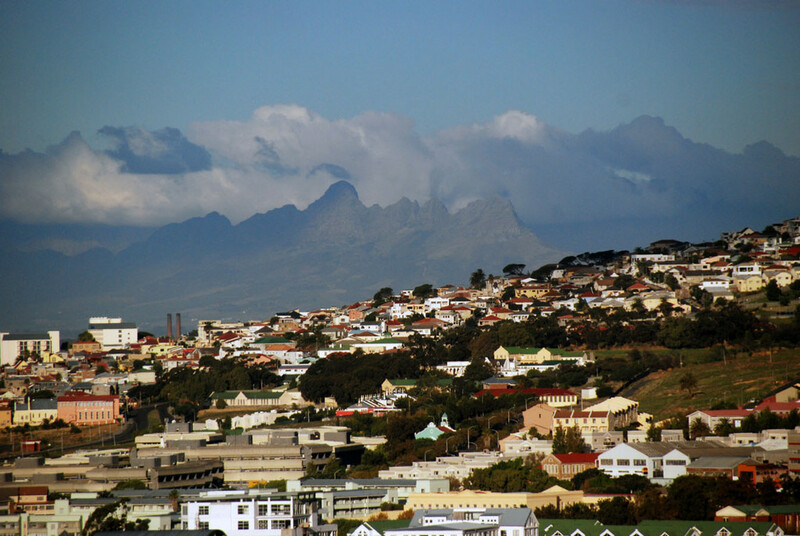 One is taken looking over the informal settlements that form part of the massive Khayelitsha African township 30 km east of Cape Town. 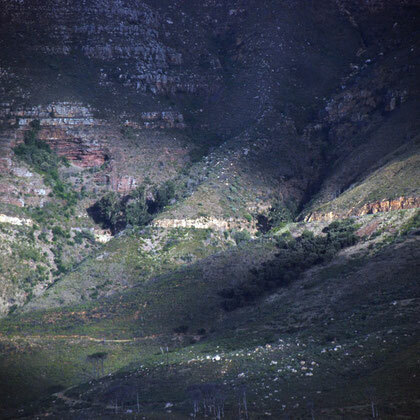 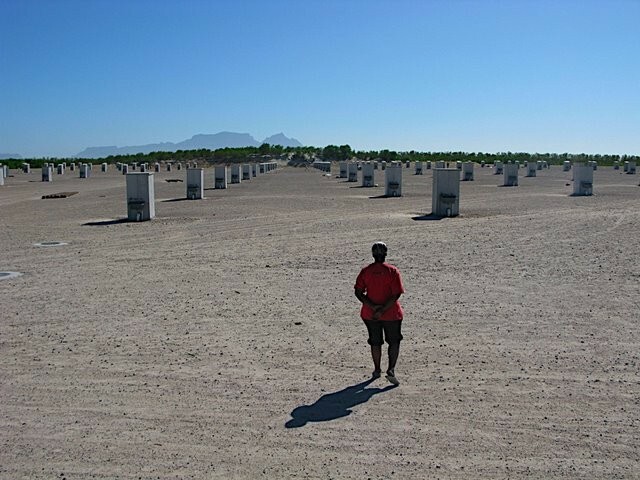 The other is from the notorious Temporary Relocation Area known as 'Blikkiesdorp' at Delft (a new township) 34km north-east of Cape Town. 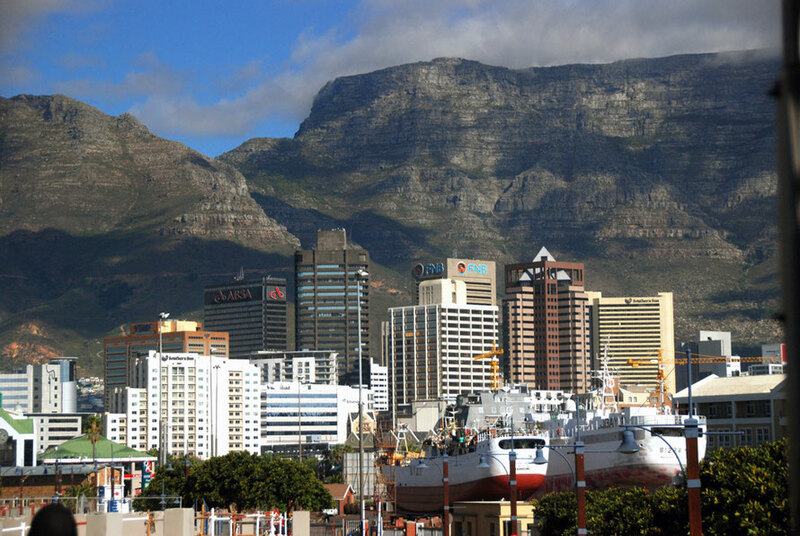 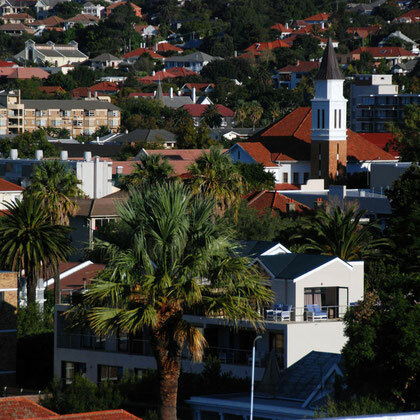 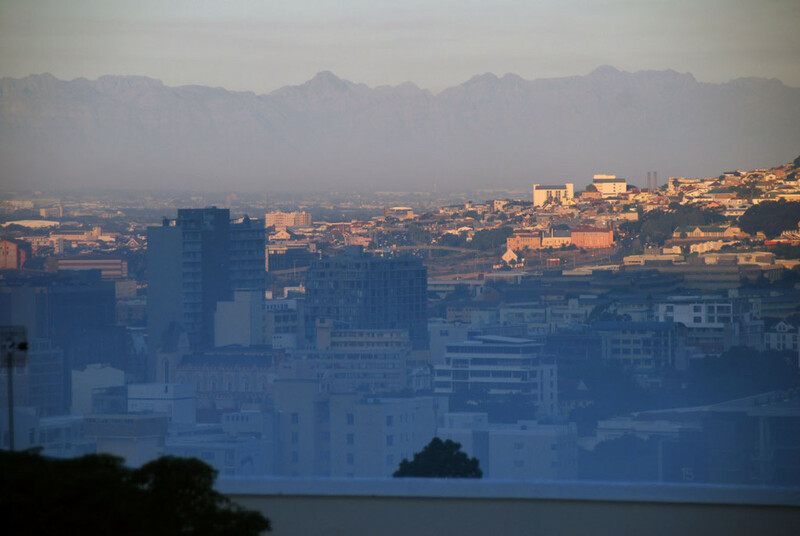 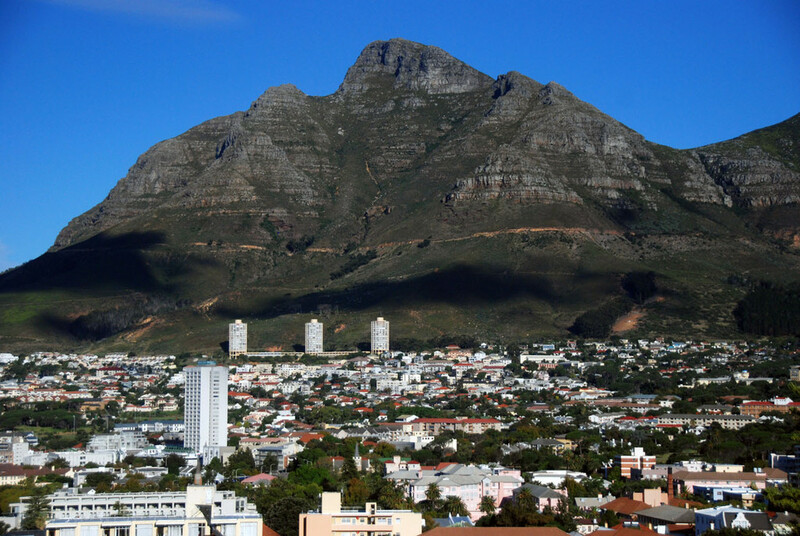 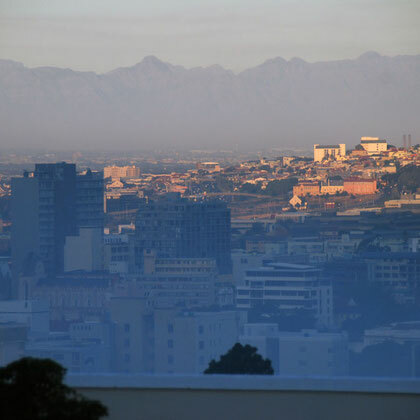 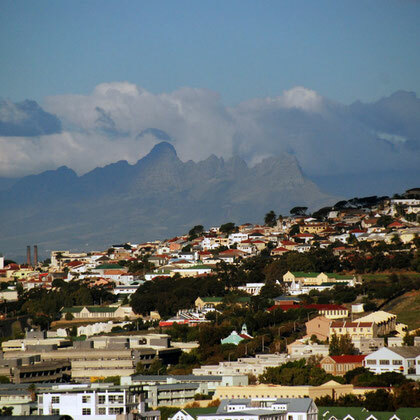 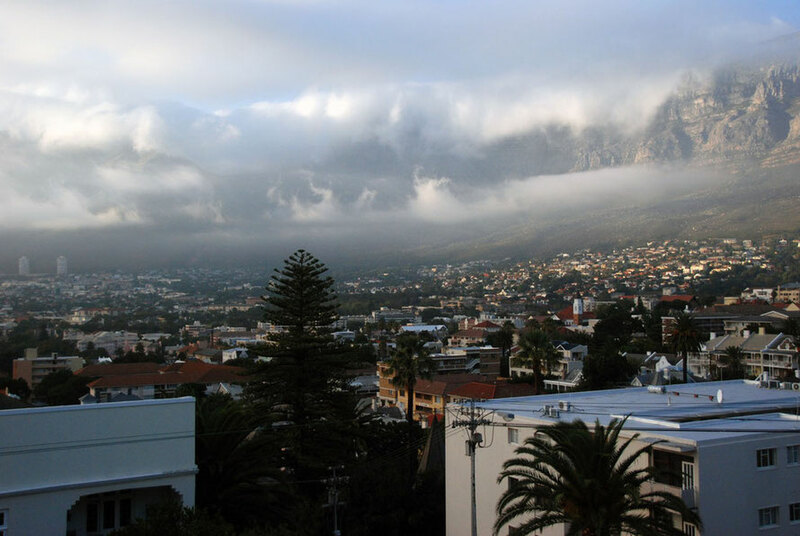 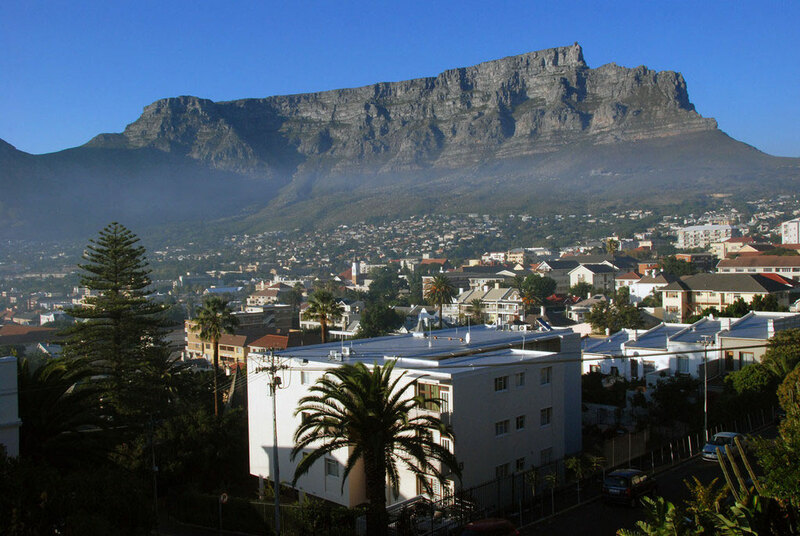 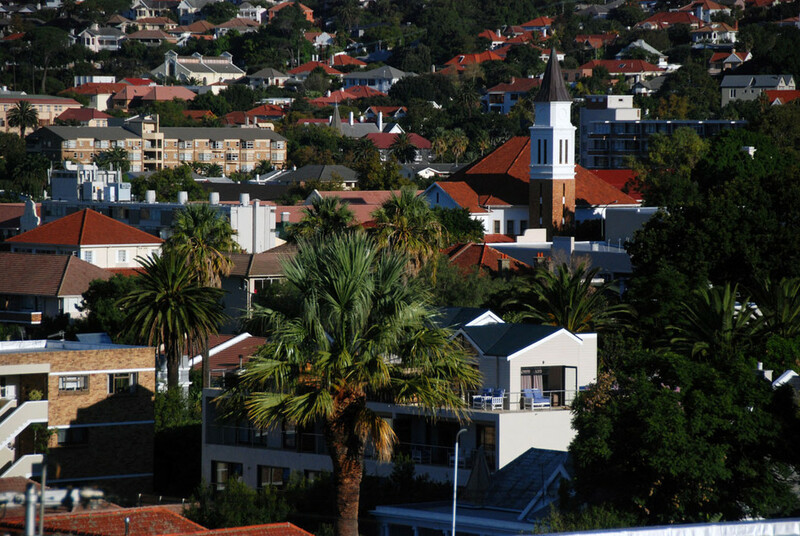 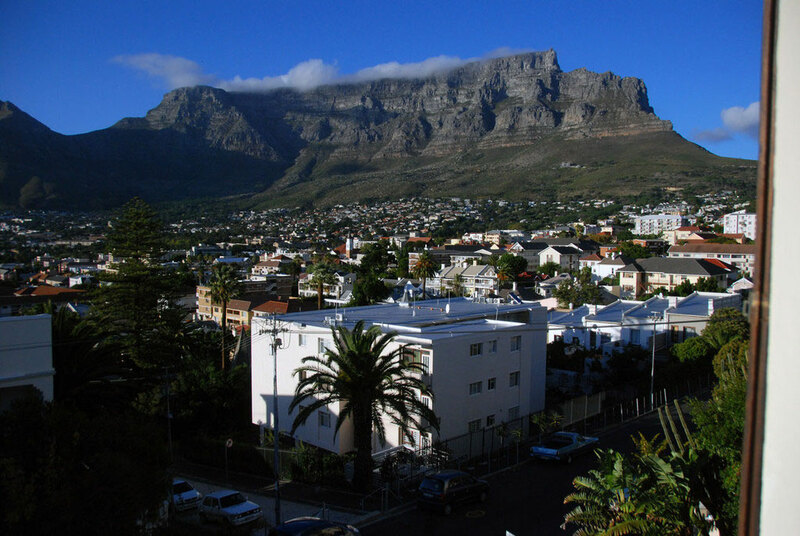 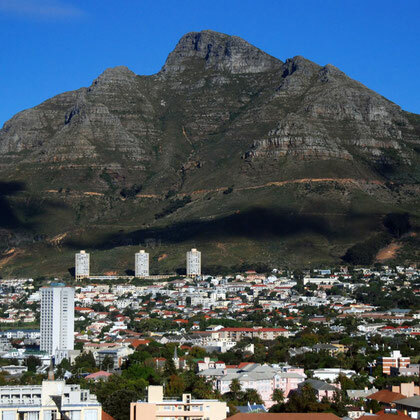 For the history of Cape Town townships and the struggle of Joe Slovo residents to avoid eviction to Blikkiesdorp and other TRAs in Delft go to this page of the site: The History of Cape Town Townships.